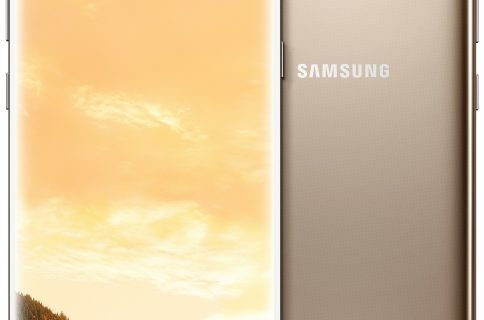 Samsung on Monday officially announced Bixby, its new personal digital assistant based on AI technologies from Viv Labs, a startup by Siri co-founders Dag Kittalus and Adam Cheyer that the South Korean company acquired last year. According to InJong Rhee, Executive Vice President and head of R&D, Software and Services at Samsung, Bixby is about completeness, context awareness and cognitive tolerance, aside from other features. The personal assistant should launch alongside Galaxy S8 and will be “fundamentally different” than Siri, Cortana, Google Assistant and more. At launch, only ten preinstalled apps will be Bixby-enabled. Over time, additional apps will gain Bixby compatibility as Samsung eventually releases an official software development kit for third-party developers to make their apps and services Bixby-enabled easily. Bixby will debut on Galaxy S8, but Samsung says the feature will be gradually applied to all its appliances in one form or another. “In the future, you would be able to control your air conditioner or TV through Bixby,” wrote the company. 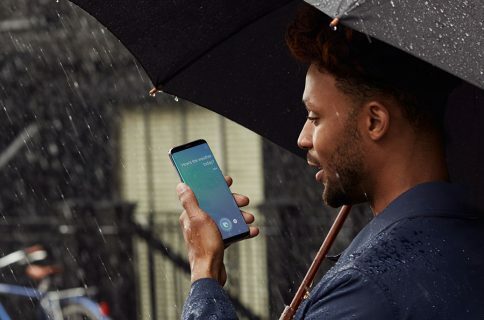 Like Siri, Bixby is a service that relies on the power of the cloud so network connectivity is required to interact with the assistant. The South Korean company is “fundamentally and conceptually” changing its attitude toward software and services. “Our investment in engineering resources speaks for itself—we have thousands of software developers supporting this effort,” Rhee said. Completeness—When an application becomes Bixby-enabled, Bixby will be able to support almost every task that the application is capable of performing using the conventional interface (ie. touch commands). Most existing agents currently support only a few selected tasks for an application and therefore confuse users about what works or what doesn’t work by voice command. The completeness property of Bixby will simplify user education on the capability of the agent, making the behaviors of the agent much more predictable. Context awareness—When using a Bixby-enabled application, users will be able to call upon Bixby at any time and it will understand the current context and state of the application and will allow users to carry out the current work-in-progress continuously. Bixby will allow users to weave various modes of interactions including touch or voice at any context of the application, whichever they feel is most comfortable and intuitive. Most existing agents completely dictate the interaction modality and, when switching among the modes, may either start the entire task over again, losing all the work in progress, or simply not understand the user’s intention. Cognitive tolerance—When the number of supported voice commands gets larger, most users are cognitively challenged to remember the exact form of the voice commands. Most agents require users to state the exact commands in a set of fixed forms. Bixby will be smart enough to understand commands with incomplete information and execute the commanded task to the best of its knowledge, and then will prompt users to provide more information and take the execution of the task in piecemeal. This makes the interface much more natural and easier to use. Acknowledging that Bixby may take getting some time used to, Samsung opined that reduced friction and making the user experience significantly more rewarding than the existing voice interfaces will be worth the effort. 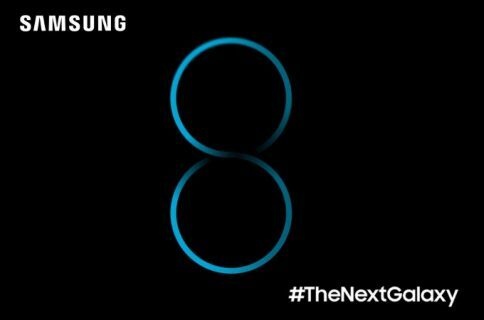 As mentioned, Bixby will launch alongside Galaxy S8 which will have a dedicated Bixby button on its side to make it feel easier and more comfortable to give commands. “For example, instead of taking multiple steps to make a call—turning on and unlocking the phone, looking for the phone application, clicking on the contact bar to search for the person that you’re trying to call and pressing the phone icon to start dialing—you will be able to do all these steps with one push of the Bixby button and a simple command,” said Samsung. Siri, of course, is always ready to take your input and can be invoked anytime by pressing and holding the Home button or via the “Hey Siri” hotword if that feature has been enabled in Settings. With iOS 10, Apple has introduced support for Siri in certain types of third-party apps, like ride hailing and mobile payment apps. Siri is also coming to Apple Watch apps with watchOS 3.2.